Sneakerheads and basketball fans now have a new reason to venture Downtown Los Angeles. Last month, Jordan Brand debuted its mindblowing DTLA retail and concept space, Jumpman LA, and the sprawling compound caters to customers like no other. After paying respects to the shop’s unique wall art by local LA artists Delfin Finley, Adam Villacin, and Billy Kheel, customers can take in Jumpman’s many interactive experiences. Highlights include a state-of-the-art Flight Lab that offers 1:1 diagnostic and performance testing and a service bar where consumers can create one-of-one products, Twin Flight lounges that include gaming areas, art, and even two locker rooms available for guests aka shoppers. 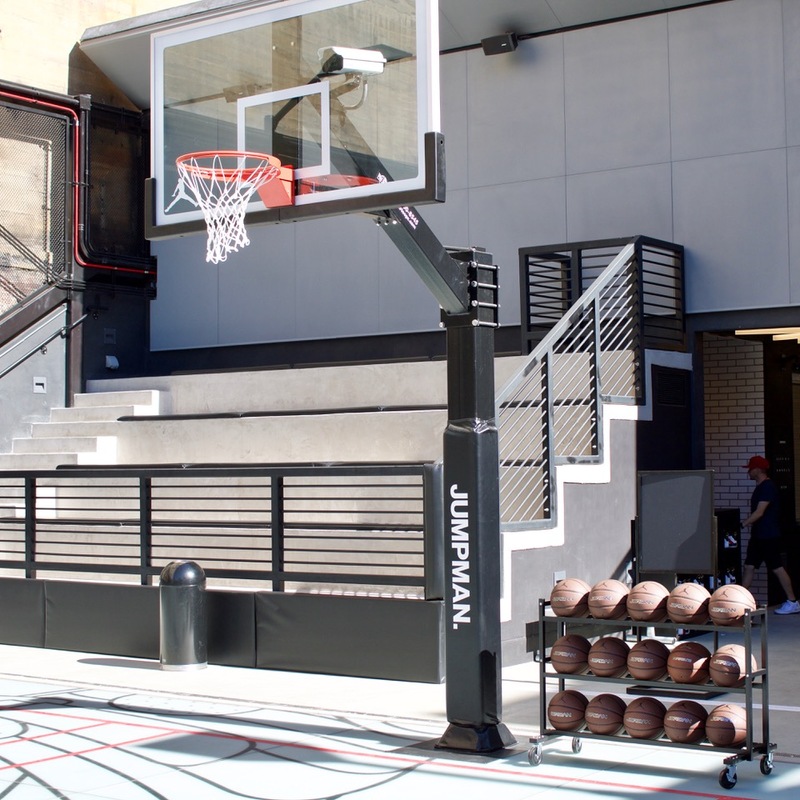 Quite possibly the most flossy aspect of the space is its Flight Deck — a rooftop that feature a regulation size court that will host local Jordan Brand sponsored schools and “other star-studded and passionate athletes,” the brand explains.